Discovery of a quadruple stellar system with a misaligned disk - the first step towards polar circumbinary planets? If you find something that you were looking for in general, but weren't specifically looking for when you found it, does it count? I think yes, but I would say that. About 5 years ago I was in charge of scrutinising images from the Herschel mission as they were coming in. Our survey, called "DEBRIS", was observing an unbiased sample of several hundred nearby stars to quantify the detection rate of "debris disks" -- these are analogues of our own Edgeworth-Kuiper belt that orbit other stars. 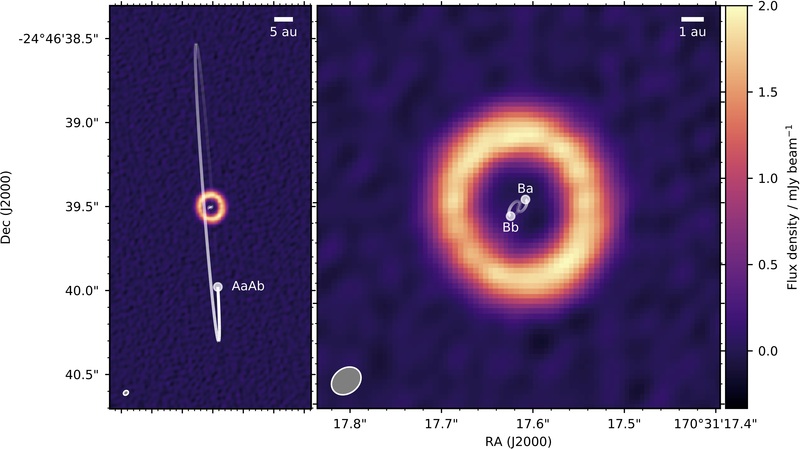 One of the targets that I earmarked as interesting was the eccentric visual binary system 99 Herculis, which appeared to have a resolved disk. It was clear to me that the binary and disk planes were misaligned, but how this could be possible was not. In trying to understand the system I learned that a stable misaligned configuration is possible, where the disk precesses about a plane that is perpendicular to both the binary orbit and the binary pericenter direction. While dozing off one night I finally connected the 3d layout of the system with the dynamics, and wrote a paper on what we called the "circumbinary polar-ring debris disk". The image is below, hardly overwhelming, but scientifically interesting nevertheless. The Herschel image of 99 Herculis' disk. Having come from an unbiased survey this result was hypothesis-free. We weren't looking for systems like this, or even particularly focussed on binaries (but we did later write a paper on their statistics). Such configurations cannot be extremely rare given that DEBRIS observed a few hundred stars, but their discovery is limited to systems where both the binary orbit and the disk orientation must be known. With further work I found several more circumbinary disk systems, but these were coplanar with their binaries. The images also continued to be underwhelming, as we were still using Herschel which has intrinsically low spatial resolution. Then came the era of the Atacama Large Millimeter Array (ALMA). This facility has resulted in a step change for disk science, providing unprecedented sensitivity and spatial resolution. My interest in the geometry of binary systems and their disks remained and the obvious system that needed to be observed was HD 98800 - a quadruple system with a compact circumbinary disk (like Asteroid belt compact). The layout is illustrated below. A 1 astronomical unit (i.e. Earth-Sun orbit sized) binary with a disk around it, and then a pair of stars (that orbit each other) going around all that. I always thought that was really nuts. It's not as rare as you might think; HD 98800 is also known as TWA 4, and the setup of TWA 3 (a.k.a. Hen 3-600) is basically the same. Fig 1 from the paper, showing the disk in colour scale and the binary orbits as lines. 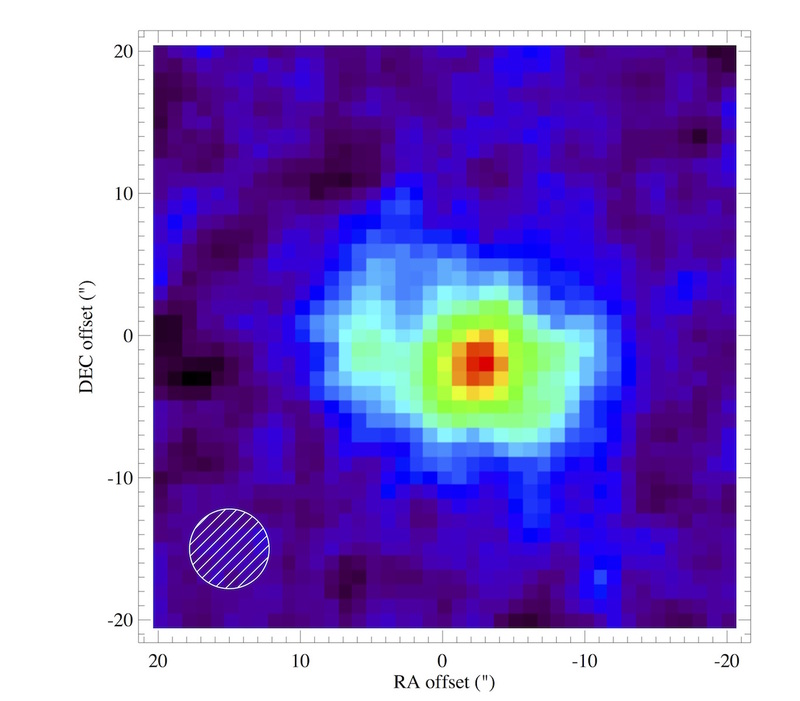 This figure (from the paper) shows the ALMA image we eventually got (colour scale), as well as the stellar orbits (line). The thing that looks like a donut is the disk we detected, and it's about the same size as the Asteroid belt in the Solar System, which is unusually small. Everything is misaligned - if the orbits were aligned then the ellipses would have the same aspect ratios and orientations, but they don't. It took me a while to realise that the most likely orientation of the disk was polar with respect to the orbit of the binary it surrounds, but an impending deadline forced me into it. Thanks to my previous work on 99 Her, and some papers that were now predicting polar orientations, I was primed to look for it. Importantly, the result for HD 98800 is for a young gas-rich disk that could be forming planets, distinguishing it from 99 Herculis, whose disk is gas-poor, old, and also on a much larger scale. Was I expecting the polar setup? No, below is the prediction I put in the proposal. I expected a warped disk that was aligned with the inner binary at the inner edge, and with the outer binary orbit at the outer edge, or maybe a disk fully aligned with the inner binary. Both were totally wrong, but what we found was far more interesting. I'm hoping to get more data to explore how the gas moves in this system; it should be pushed around strongly and better data should show evidence of this. What I predicted the HD 98800 disk would look like. Totally wrong. What does this discovery mean? To me it means that we should be looking for polar circumbinary planets, polar Tatooines if you will. Work by one of my Warwick colleagues, Dave Armstrong, suggests that circumbinary planets are at least as common as equivalent planets around single stars, but that doesn't account for a possible as-yet undiscovered polar circumbinary population. If those do exist in reasonable numbers, it may be that circumbinary planet formation is actually more successful that around single stars. There are also nerdy disk physics things that this system should be very useful for. Time will tell.